Our team is actively involved in orthopedic research studies designed to lead to better outcomes for pediatric patients. Our physicians are dedicated to collaboration and research in pediatric orthopedics. We participate in ongoing research on numerous projects. We were excited to be the host sponsor of the 6th annual Pediatric Research in Sports Medicine Society meeting in January. Children's team members presented on numerous topics each day during the three day conference. See some of our team's presentation highlights. In 2017, we established the Orthopedic and Sports Medicine Outcomes Center. Led by Cliff Willimon, MD, and Crystal Perkins, MD, in collaboration with Emory University orthopedic researchers, this center collects and analyzes data that will further enhance quality and outcomes. The International Perthes Study Group is a group of specialists and researchers with a common goal of advancing knowledge and care of patients with Perthes disease. Tim Schrader, MD, was a founding member of this group and is actively involved in collaborative studies with researchers across the world. The Children's Spine Foundation is a community dedicated to improving the quality of care and outcomes for patients and families dealing with chest wall and spine deformities. Our team works with the Spine Study Group on research projects to help improve patient outcomes. Michael Schmitz, MD, Nicholas Fletcher, MD, and Joshua Murphy, MD, are actively involved in this collaboration on behalf of Children's. We are one of only 25 centers that participate in this invitation-only research group. In an effort to standardize postoperative spinal fusion care, our team has provided research and data collection from the Children's spinal fusion postoperative pathway. Our research helps to guide best practices nationwide with the goal of improving spinal fusion patient outcomes. Nicolas Fletcher, MD, provides leadership on behalf of Children's in this collaboration with the Harms Study Group. The Osteochondritis Dissecans Group of North America is committed to developing improved methods for the diagnosis, evaluation and treatment of osteochondritis dissecans. Our team works closely with other members of this group to identify better treatment plans for patients. Michael Busch, MD, and Cliff Willimon, MD, represent Children’s through research efforts in this group. Children's is one of eight centers nationwide that participate in the FACTS study group. These centers represent the highest volume pediatric hospitals in the country that are combining their clinical experience to determine treatment outcomes for teenagers who have displaced clavicle fractures. Michael Busch, MD, Cliff Willimon, MD, and Crystal Perkins, MD, contribute to this group. PLUTO is a national study group investigating the safety and effectiveness of treatment of pediatric anterior cruciate ligament (ACL) injuries, specifically in children with open growth plates. 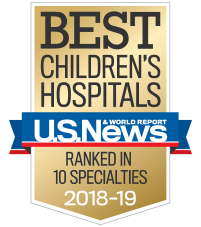 The Children’s sports medicine surgeons, including Michael Busch, MD, Cliff Willimon, MD, and Crystal Perkins, MD, are all active members of this group. PRiSM is devoted to the care of pediatric and adolescent athletes. Many pediatric sports injuries and conditions are unique to young athletes and do not occur in other age groups. By combining research across multiple centers and different practitioners, the group aims to increase the impact of research. Michael Busch, MD, Cliff Willimon, MD, and Crystal Perkins, MD, participate in this study group and lead research interest groups studying complex knee injuries and shoulder instability. CORTICES is a collaboration of pediatric orthopedic surgeons dedicated to improving the quality, safety and value in the management of emergent orthopedic conditions through education, research and development of optimal care guidelines. Nicholas Fletcher, MD, and Joshua Murphy, MD, help lead research efforts on behalf of Children's in this group. A Quartet of Elastic Stable Intramedullary Nails for More Challenging Pediatric Femur Fractures. J Pediatr Orthop. 2019 Jan;39(1):e12-e17. doi: 10.1097/BPO.0000000000001273. Busch MT1, Perkins CA1, Nickel BT2, Blizzard DJ3, Willimon SC1. Summary: The use of four flexible intramedullary nails, as opposed to the traditional two nails, improves the fixation and stability of length-unstable femur fractures which might otherwise require more invasive treatment techniques. Perkins, C.A., Busch, M.T., Christino, M.A., Axelrod, J., Devito, D.P., Fabreags, J.A., Flanagan, J.C., Murphy, J.M., Olszewski, D., Schmitz, M.L., Schrader, T., Willimon, S.C.
Summary: This study described the outcomes of a common treatment technique for elbow fractures in children and identified a specific population of older children who may benefit from a specific-fixation method. Reliability of radiographic assessments of adolescent midshaft clavicle fractures by the FACTS multicenter study group. J Orthop Trauma 2017. Li, Y., Donohue, K.S., Willimon, S.C., et al. Radiographic measurements of clavicle fracture displacement and shortening have good inter- and intra-rater reliability. The cortex-to-corresponding-cortex measurement of shortening is more accurate than end-to-end and should be used in clinical practice. Summary: Currently, when a patient breaks her collar bone, there is no standardized way to review imaging studies and calculate displacement. These measurements are important because they guide decision making regarding the need for surgery. Our team collaborated with other centers in the study group to find reliable ways to measure, evaluate and standardize care of clavicle fractures. Adolescent clavicle nonunions: Potential risk factors and surgical management. J Shoulder Elbow Surg 2017. Pennock, A.T., Willimon, S.C., Busch, M.T., et al. Nonunion is a rare outcome in adolescent clavicle fractures. Predictors of nonunion are male patients who have a displaced fracture through a previously fractured clavicle. Summary: This study was conducted to better understand the commonality and rarity of nonunions. Our team collaborated with other centers to identify patients whose clavicles did not heal. This occurrence is very low (less than 15 cases). This study showed that nonunions rarely occur. Functional outcomes following nonoperative versus operative treatment of clavicle fractures in adolescents. J Child Orthop 2017. Herzog, M.M., Busch, M.T., Willimon, S.C., et al. There are no significant differences in function or patient-reported outcomes between patients treated nonoperatively versus operatively for displaced and shortened clavicle fractures. Summary: Some clavicle fractures can benefit from surgical repair, while others can be managed successfully without surgery. Our doctors are not just interested in treating the fractures. We want to know that a patient’s functional outcome is better because of the treatment. This study examines patients who had a clavicle fracture that was treated with or without surgery and tests the strength and endurance of their arms. Intra-articular physeal fractures of the distal femur: A frequently missed diagnosis in adolescent athletes. Orthop J Sports Med 2017. Pennock, A.T., Ellis, H.B., Willimon, S.C., et al. Intra-articular physeal fractures of the distal femur are commonly missed, and practitioners must have a high index of suspicion for this injury pattern when evaluating skeletally immature athletes with acute knee injuries. Summary: A fracture through the growth plate at the end of the femur (thigh bone) is difficult to diagnose and frequently missed in adolescent athletes. It’s important to have a doctor experienced in sports medicine injuries to make sure athletes recognize these injuries and get the treatment they need. This study was performed in order to better understand these fractures and their growth-related complications. 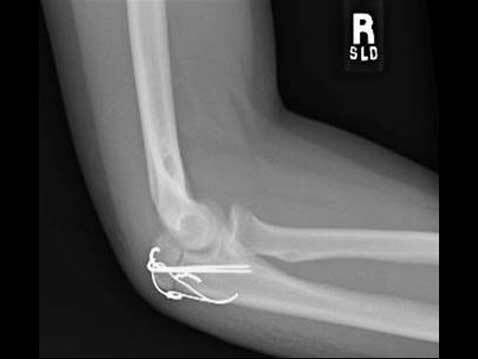 The use of a transolecranon pin in the treatment of pediatric flexion type supracondylar humerus fractures. J Pediatr Orthop. September 2017. 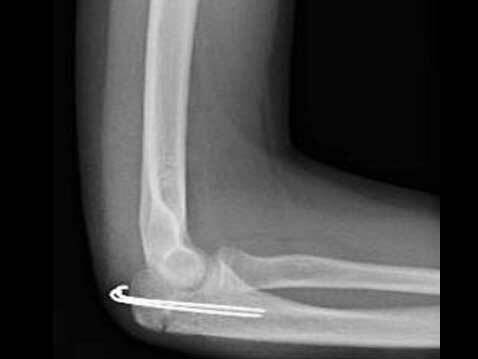 Green, B.M., Stone, J.A., Fletcher, N.D.
A transolecranon pin is one technique to obtain provision reduction of flexion-type supracondylar humerus fractures that may otherwise require open reduction. Summary: This injury is a relatively rare, hard-to-treat variant of commonly treated injury. Previously, this injury required an open surgery to realign the bones. Open surgery can mean a longer recovery time, more risk for complications and more pain. Our research showed that our new technique helped avoid open surgery in all cases. This was a small study, but showed the minimally invasive technique to be effective and have positive outcomes for patients. Etiology, Diagnosis, and Treatment of Dynamic Nerve Compression Syndromes of the Elbow Among High-Level Pitchers: A Review of 7 Cases. The Orthopaedic Journal of Sports Medicine. October, 2018. Summary: This article describes an injury seen in adolescent and adult pitchers in which nerves about the joint can become compressed with activity resulting in decreased function and performance. Recognition and proper treatment can avoid injury and restore pre-injury performance. 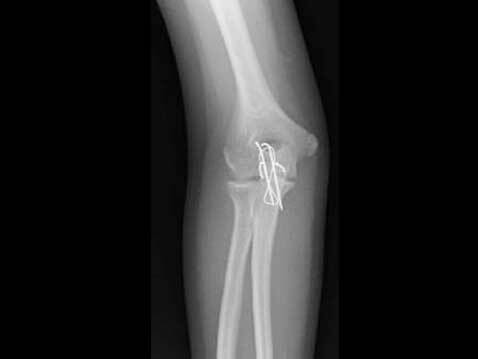 Ulnar Nerve Injury in Pediatric Midshaft Forearm Fractures: A Case Series". Journal of Orthopedic Trauma. Volume 32. Number 9. September, 2018. Summary: This article describes the largest series to date of a fracture of the forearm in children that can entrap and injure the ulnar nerve. Early recognition and correct treatment can prevent long term nerve damage. Outcomes Of Operative Treatment Of Triangular Fibrocartilage Tears In Pediatric And Adolescent Athletes,” Journal of Pediatric Orthopedics, 38(10): e618-622, 2018. Summary: Triangular fibrocartilage complex (TFCC) tears are a well known adult wrist injuries, but little has been reported in children. Traditionally associated with distal radius fractures in children, this study reviews the experience in treating these tears in children and adolescents. Nearly all of the tears resulted from injuries sustained during a sport activity, and not from fractures; something previously unreported. Our team reported the findings associated with this injury to raise awareness. Our team also found that eighty percent of patients returned to their previous level of sport within 4.8 months after surgery while nearly all were satisfied with the results of the surgery. When warranted, surgical treatment of TFCC injuries in our young athletes can reliably help them return back to their level of sport. Hand Injuries in Baseball. (Chapter) Baseball Sports Medicine. (Textbook) Editors Ahmad, and Romeo. Summary: This chapter focuses on hand injuries particular to baseball in the adolescent and adult. A thorough description focuses on the pertinent anatomy and treatment of hand injuries common to baseball. Surgical Treatment of Upper Extremity Contractures in Emery-Dreifuss Muscular Dystrophy,” Journal of Pediatric Orthopedics B, 26(1):32-35, 2017. Summary: Emery-Dreifuss muscular dystrophy is a rare form of muscular dystrophy. Emery-Dreifuss muscular dystrophy is a form of this condition that often leads to impairing elbow contractures. For the first time, this paper reviews the results of muscle lengthening surgery to successfully relieve these contractures in two children with the condition. The median nerve is one of the three major nerves of the forearm and hand. It helps control hand movement. This book chapter explores the types of injuries that typically result in median nerve damage as well as treatment options. Murphy RF, Plumblee L, Barfield WB, Murphy JS, Fuerstenau N, Spence DD, Kelly DM, Dow MA, Mooney JF 3rd. Summary: Infections of the hip joint in children are treated with surgery and antibiotics. This study identified risk factors, included elevated laboratory markers and a specific bacterial infection, which predict the need for more than one surgery. This information guides physicians in their treatment and improves the quality of care delivered to these patients. Upasani VV, Badrinath R, Farnsworth CL, Jeffords ME, Hallare JA, Ahmed SI, Schrader T.S. This study evaluates the relationship between intra-articular hip pressure (IAP) and epiphyseal perfusion pressure (EPP), and its dependency on skeletal maturity to determine if hip pressure has an effect on femoral head avascular necrosis after hip fractures or acute slipped capital femoral epiphysis (SCFE). Summary: Posttraumatic femoral head avascular necrosis (AVN) happens when bone tissue begins to die due to lack of blood supply. Hip fractures, dislocations and SCFE have been associated with high rates of AVN. With this study, we found that increased pressure within the hip joint in a young pig with open growth plates led to decreased blood perfusion inside the femoral head. We also found that the decreased perfusion was reversible (in the short term) by decreasing the hip joint pressure. 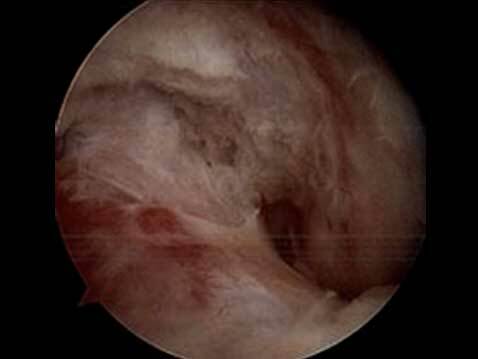 This study is clinically relevant because releasing the pressure of the hip joint (hip capsulotomy) in young patients may help decrease the rate of AVN. Intraoperative monitoring of epiphyseal perfusion in slipped capital femoral epiphysis. J Bone Joint Surg Am 2016; 98(12):1030-1040. Schrader, T., Jones, C.R., Kaufman, A.M., et al. 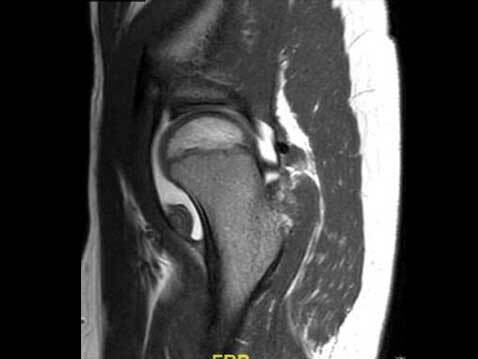 Femoral head perfusion in patients with a slipped capital femoral epiphysis (SCFE) can be measured intra-operatively. The presence of femoral head perfusion was predictive of the absence of postoperative osteonecrosis. Summary: This novel technique to monitor blood flow to the ball of the hip (femoral head) during surgery for a condition called slipped capital femoral epiphysis (SCFE) was developed by Tim Schrader, MD, Medical Director of Children’s Hip Program. Demonstrating blood flow to the femoral head during surgery was associated with an absence of osteonecrosis after surgery. This study will help improve patient outcomes. Arthroscopic management of pigmented villonodular synovitis of the hip in children and adolescents. Ortho J Sports Med 2018. Willimon, S.C., Schrader, T.S., Perkins, C.A. 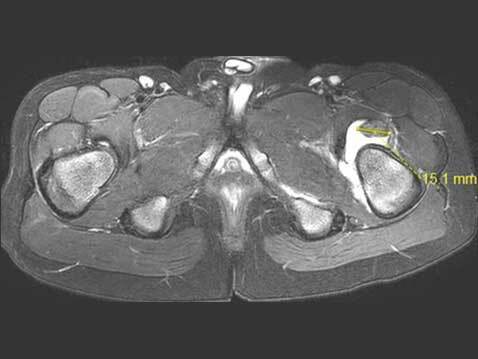 Pigmented villonodular synovitis (PVNS) should be considered in the differential diagnosis of children and adolescents with atypical presentations of hip pain that fail to respond to treatment for rheumatologic or infectious disorders. 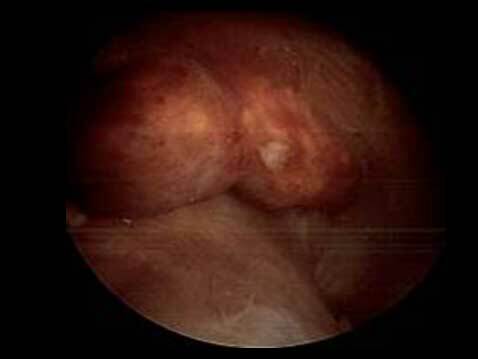 Arthroscopic synovectomy of the hip following a timely diagnosis of PVNS produces good outcomes. Summary: PVNS is a noncancerous tumor-like condition that affects the joints—most commonly the knee, hip, elbow and shoulder. PVNS is often difficult to diagnose. Our study examined a series of young patients with PVNS of the hip that had not been previously reported. Historically, these surgeries were open procedures. Our sports medicine surgeons perform these arthroscopically, which usually has a shorter recovery time, less pain and fewer complications compared to more traditional approaches. Radiographic assessment of guided growth: The correlation between screw divergence and change in anatomic alignment. J Pediatr Orthop 2017. Sweeney, K.R., Shi, W.J., Gottschalk, M.B., Kappa, J.E., Bruce, R.W. Jr., Fletcher, N.D. In patients treated with guided growth, screw divergence as measured on a knee radiograph as opposed to full-length standing radiographs can be used to reliably determine changes in coronal plane alignment. Summary: Typically, screws are used to secure bones in place and harness growth to provide straightening for kids with knocked knees or bow legs if we still expect adequate bone growth. When following a patient’s growth, we typically require full body X-rays, which means exposure to radiation. This study shows that by doing simple calculations, we can eliminate the need for a full body X-ray and just X-ray the knee. This study has helped us reduce our patients’ exposure to radiation. Time to return to school following 10 common orthopaedic surgeries among children and adolescents. J Pediatr Orthop 2017. Willimon, S.C., Busch, M.T., Herzog, M.M. The average time to return to school following orthopedic surgeries ranges from three days for closed reduction of forearm fractures to 42 days for adolescent idiopathic scoliosis fusion. This information can be used to counsel patients and families regarding postoperative recovery and expectations. Summary: Previously, there wasn’t data to guide parents on how much work and school a family could expect to miss after an orthopedic surgery. Doctors would estimate this information based on their past experiences. In this study, the team defined the average number of missed school days for 10 common procedures. This information helps families and caregivers to plan and prepare for surgery and postsurgical recovery. Perioperative Complications After Spinal Fusion in Pediatric Patients With Congenital Heart Disease. Spine Deform. 2019 Jan;7(1):158-162. doi: 10.1016/j.jspd.2018.05.002. Spitzer AB1, Shaw KA2, Schmitz M1, Devito DP1, Murphy JS3. Nighttime bracing with the Providence thoracolumbosacral orthosis for treatment of adolescent idiopathic scoliosis: A retrospective consecutive clinical series. Prosthetics Orthotics International: August 2018. Epub ahead of print. Davis L, Murphy J, Shaw K, Cash K, Devito D, Schmitz M.
Summary: This study reviewed 56 patient cases and found a 57.1% success rate for preventing curve progression in patients with curve apex T10 or caudal and Risser sign ⩾ 1. This information will help clinicians identify patients who will benefit most from nighttime bracing and help guide clinical treatment. Predictors of distal adding-on in thoracic major curves with AR lumbar modifiers. Spine 2017. Murphy, J.S., Upasani, V.Y., Yaszay, B., et al. Skeletally immature patients, those fused short of last substantially touched vertebra (LSTV) and those with relative coronal balance preoperatively are at increased risk of distal adding-on between the initial postoperative visit and two-year follow up. Summary: Our orthopedic surgeon, Joshua Murphy, MD, participates in a multicenter collaborative effort with other children’s hospitals to explore the best ways to surgically correct scoliosis and avoid complications. This study aimed to better understand factors that will help doctors design the surgical treatment for patients. Development of consensus-based best practice guidelines (BPG) for postoperative care following posterior spinal fusion for AIS. Spine 2017. Fletcher, N.D., Glotzbecker, M.P., Marks, M.C. The Harms Study Group, Newton PO. Nineteen clinical practice guidelines are described for the postoperative management of patients following posterior spinal fusion for adolescent idiopathic scoliosis. Summary: We are nationally renowned for our pediatric postoperative spinal fusion pathway. Our team was the first to publish our pathway five years ago. In comparing data across our hospitals, we found a 25 percent decrease in length of stay and no increase in complications due to the implementation of our pathway. Because of the success of the pathway, Nicholas Fletcher, MD, Medical Director of Children’s Spine Quality and Outcomes was asked to lead a team of nationally renowned surgeons to create a best practice guideline for postoperative care following posterior spinal fusion for adolescent idiopathic scoliosis. Most recently, we’ve found that with our pathway sicker kids with more complex conditions also benefited from our guidelines. We saw a 50 percent decrease in complications and a 25 percent shorter length of stay for these patients. Use of a novel pathway for early discharge was associated with a 48 percent shorter length of stay after posterior spinal fusion following adolescent idiopathic scoliosis. J Pediatr Orthop. March 2017. Fletcher, N.D., Andras, L.A., Lazarus, D.E., Owen, R.J., Geddes, B.J., Cao, J., Skaggs, D.L., Oswald, T.S., Bruce, R.W. Discharge after posterior spinal fusion for scoliosis may be expedited using a coordinated postoperative pathway without an increase in complications. Summary: In order to prove the positive outcomes of Children’s Healthcare of Atlanta’s spinal fusion pathway, we collaborated with Children’s Hospital Los Angeles. When comparing pathways, we found that our patients were released 50 percent sooner with no major difference in complications. As a result, many pediatric hospitals across the country are adopting the spinal fusion pathway created by our team. Transphyseal ACL reconstruction in skeletally immature patients. The Pediatric ACL: Clinical Evaluation and Management Strategies. Springer. 2018. Perkins, C.A., Willimon, S.C., Busch, M.
ACL reconstruction in skeletally immature patients with a transphyseal technique is appropriate for adolescents with two or fewer years of remaining skeletal growth. Summary: This book chapter discusses the strategy and treatment to reconstruct an ACL in children and young teenagers. Sometimes, treating pediatric ACL injuries like you would an adult’s can be risky and dangerous due to remaining skeletal growth. 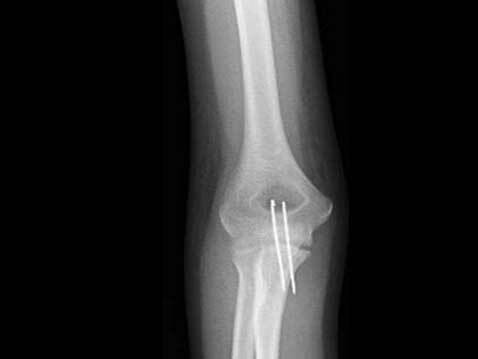 Adolescent patients are also at higher risk for re-injury. Our sports medicine team includes physical therapists, athletic trainers, sports medicine primary care doctors and orthopedic surgeons. Our goal with ACL rehabilitation is to help patients return to activity based on their recovery and function versus a specific timeframe after surgery. Willimon, S.C., Busch, M.T., Perkins, C.A. Summary: Pigminted villonodular synovitis (PVNS) is a noncancerous tumor-like condition that affects the joints—most commonly the knee, hip, elbow and shoulder. PVNS is often difficult to diagnose. This is the largest published series of pediatric patients with PVNS of the knee. Our sports medicine surgeons treat PVNS arthroscopically, which usually has a shorter recovery time, less pain and fewer complications compared to more traditional approaches. Our team was excited to share our current research in sports medicine with leaders from across the country at the recent PRiSM meeting. Julie Johnson, PT, MPT, SCS, CSCS, won the Achievement Award for Physical Therapy at the 2019 Pediatric Research in Sports Medicine (PRiSM) conference. This award is given to someone who models exemplary clinical care and makes great contributions to the education of providers in the field of youth sports medicine in the local area. Dr. Busch presented on Clavicle Fractures in Children and Adolescents' at this recent conference. This presentation won best POSNA E-Poster.